So, in your opinion, what is the hardest part of being an author? I would have to say for me is reaching my target audience. Finding out where they look for books and all the research that goes into it. Yes! Promoting gets us every time! Do you have a sweet tooth or a savory tooth? I definitely have a sweet tooth. When the day is over and I finally get to relax I like to enjoy homemade peanut butter cookies or snickerdoodles with a cup of green tea. Brownies are a favorite too. Oo, here at Quirky Questions we like cookies! *hints* Next question: What song are you listening to right now? Shawn Mendes’ new hit In My Blood. That song has different meaning to whoever’s listening. For me it’s my on going fight with chemo. The symptoms and low blood counts. I just want to be myself again. We are supporting you all the way! Thank you for sharing with us! What is your favorite sound? The sound of the ocean. So peaceful and calm. Great stress reliever. My favorite as well! Do you have a nickname? Yes. It’s Nessy. I don’t know how it originated, but it caught on pretty quick with family and friends. I like it! When did your heart last skip a beat? Why? When a friend of the family had her baby shower a few weeks ago and when the gifts were done her now fiancé proposed. It was so moving. I felt a lot of love that day. Totally unexpected. Who proposes at a baby shower? What a touching moment, to give the gift of love and family! What is your favorite drink? If you mean non-alcoholic that would be a caramel mocha latte. If you mean alcoholic that would be Patron. Well, as it is currently morning here, I raise my caramel mocha latte to you! 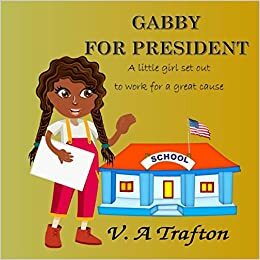 Thank you, V. A. Trafton, for answering my quirky questions! Follow and support V. A. on social media and don’t forget to come back next Friday for another round of questions!